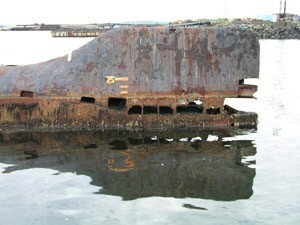 Russian customs has for the last 10 months held in impound samples from a sunken nuclear submarine that Russian scientists sent to their Norwegian counterparts to confirm whether the wreck poses any radiological hazards, Norwegian media have reported. The Norwegian Radiation Protection Authority (NRPA), which has participated in several joint missions with Russian authorities to determine whether the sunken K-159 Soviet-built nuclear submarine poses radiological hazards, has requested Norway’s Foreign Minister intervene to secure the samples. Norway’s Minstry of Foreign Affairs for its part said it had received NRPA’s complaints over the samples and will convey them to the Russian Embassy, said NRK, Norway’s national broadcaster. Nils Bøhmer, Bellona’s executive director and nuclear physicist speculated that the hold up of the samples could be caused by one of two things. 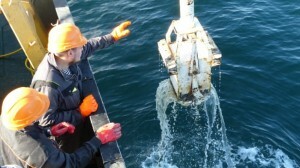 The samples were taken during a August to September 2014 joint Russian-Norwegian expedition to the K-159, a rusted out nuclear submarine, which sank under assisted transport from the Gremikha Russian Naval installation to dismantlement at Polyarny, north of Murmansk. NRPA and Russian authorities had agreed Russia would get the first crack at analyzing the samples, and then send them on to Norway. But the samples were seized by Russian customs in Murmansk, where they remain under lock and key, possibly gagging the release of critical information about the sub’s disposition. The August 2003 sinking of the K-159 killed nine of the 10 sailors who were aboard the derelict sub to plug leaks in its hull during the journey. When it sank, its reactors were filled 800 kilograms of spent uranium fuel, and they now lie under 246 meters of water 130 kilometers from the Norwegian coast on the floor of Kola Bay’s fertile fishing grounds. Previous examinations of the vessel have tentatively concluded it poses no special radiation hazards. Norwegian and Russian scientists, however, are at odds about how dangerous the sub is. The Russian side said after the September mission that the vessel poses dangers to the immediate undersea environment, while Norway said it’s essentially harmless for now. But both Norway and Russia agree that the foil thin condition of the hull means that the safest plan involves eventually raising the wreck so that water doesn’t begin to leak into the reactor chambers. Another possible plan to secure the sub, the NRPA indicated, is to bury it on the seafloor to prevent water ingress into the uranium fuel. The customs hold up with the samples sent to Norway is therefore causing irritation. 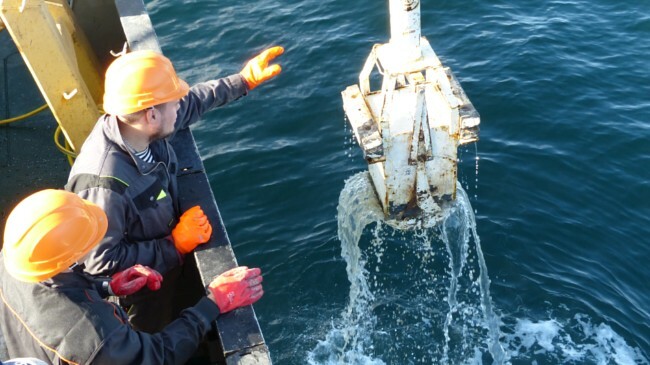 During the September joint expedition, Norwegian and Russian scientists took sediment and fish samples surrounding the K-159, which might hold key information on possible radioactive leakage, Norway’s national broadcaster NRK said, quoting an NRPA specialist. 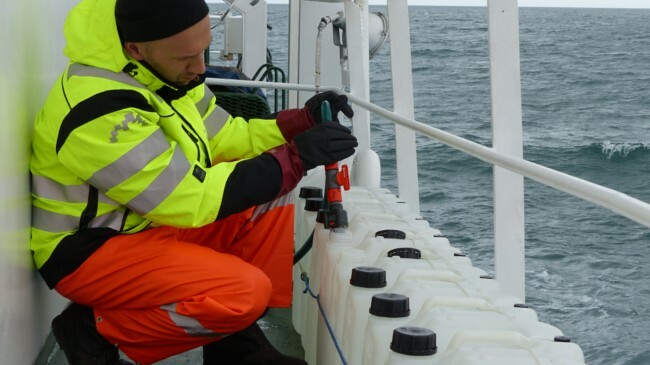 Norway needs the samples to complete the investigation of the vessel and decide further coursed of action, said Inger Margrethe Eikelmann, who heads the NRPA’s northern division. “The Russians have analyzed their half of the samples, so we know the result, but we want to have samples in Norway as well, so we can do our own analysis,” she said. “Things take time when it comes to working with the Russians, but we can’t wait forever,” she added, and urged Russian and Norwegian customs to come to an agreement. In a separate interview to the Norwegian English-language news portal thelocal.no, Eikelmann indicated she was not particularly concerned that the locked-up samples secret any unpleasant surprises.